Bungie Aerospace is a brand new venture for the former house of Halo. Bungie primarily became known as the developer and creator of the Halo franchise, but left the series behind when it broke off from Microsoft to work under Activision instead. The company has been tight-lipped about its current actions, though Bungie recently announced at least one new project it's been working on. Rumors have been mentioning something called Bungie Aerospace lately, and it's a real thing, but not one of Bungie's new games. 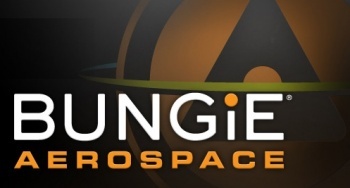 Bungie officially announced that Bungie Aerospace is a new venture through which the company will help independent developers create mobile and social games. These developers will get a ton of support and the benefits of being associated with a popular name. For example, Bungie Aerospace will assist developers with finances, marketing & PR, QA/testing, release management, and technology expertise. In addition, any developer working in the Bungie Aerospace program will automatically acquire Bungie's enormous audience. Bungie hopes to attract anyone from college students to seasoned developers. The first Bungie Aerospace partnership is with Jordan Weisman's Harebrained Schemes, which is working on an iOS and Android title called Crimson. Details haven't yet been announced, but we'll hear more about Crimson in the coming weeks.